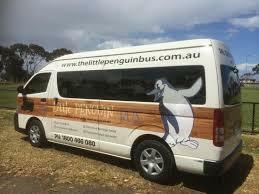 Like the charming and approachable seabird on the label, the Little Penguin wines are appropriate for any occasion. From a party with the whole colony to a quiet night in the burrow. the Little Penguin enjoys nothing more than socializing and foraging for delicacies. Consider yourself invited to do the same with these delightful new South Eastern Australian wines. Wine Spectator 85 BEST VALUES"This Chardonnay is soft and spicy, offering a toasty edge to its modest apricot flavors. Drink now. 121,000 cases imported." "The nose shows complex aromas of honeysuckle, citrus and white pear. The aromas follow onto a delicious, fruit driven palate with touches of light spice, balanced by crisp acidity."